The rise of housing campaigns in the UK has been amazing. Ten years ago there were a few campaigns, mostly local around protecting council housing from privatisation or demolition. Now there are dozens: private renter groups, anti-gentrification campaigns, anti-eviction campaigns, homelessness campaigns, and radical housing action. 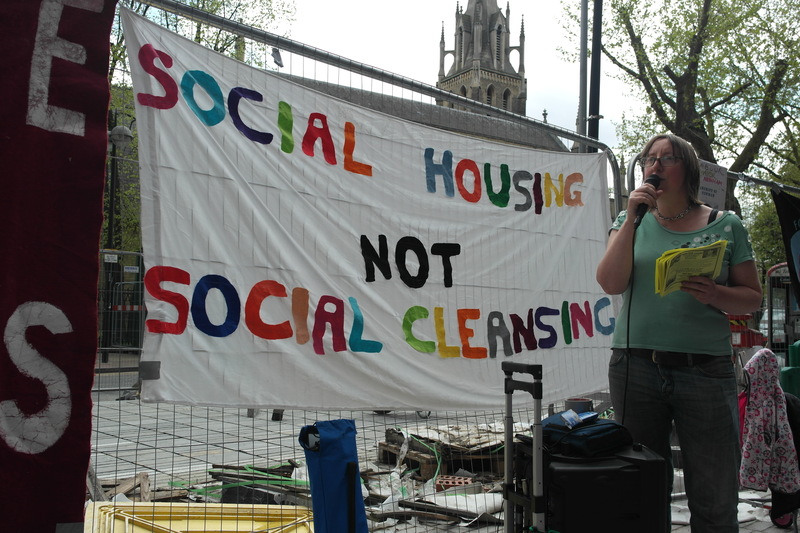 The Green European Journal asked me to write something up on housing campaigns in the UK, and it was clear to me that I had to write about the Focus E15 Campaign, which went from a small group of single mothers doing street stalls to a high-profile and active campaign on all aspects of the housing crisis.